Also check out the matching necklace! 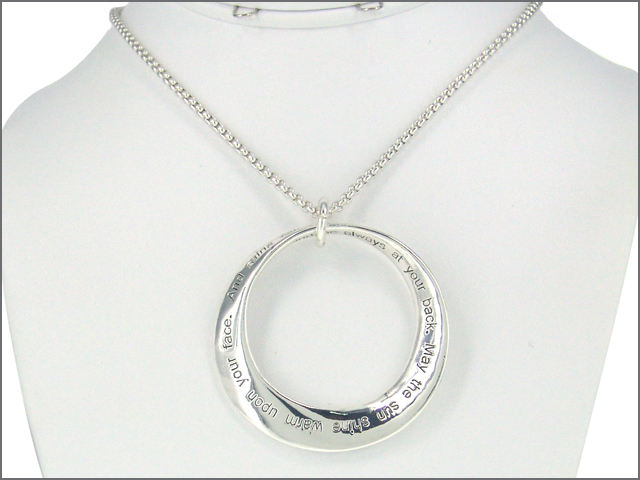 IRISH BLESSING MOBIUS SHAPED NECKLACE WITH 18" CHAIN AND 2 INCH EXTENSION. 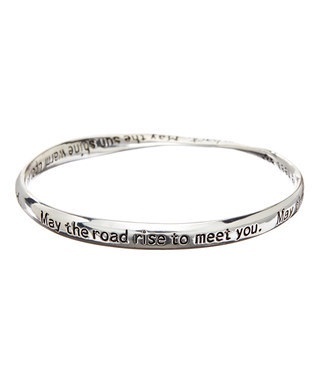 CONTAINS ENTIRE IRISH BLESSING PRAYER. See also coordinating bracelet and keychain. Material is base metal and is lead and nickel free.